I have started letting Lily blow bubbles while she takes a bath. She loves it and if she spills it’s no big deal. 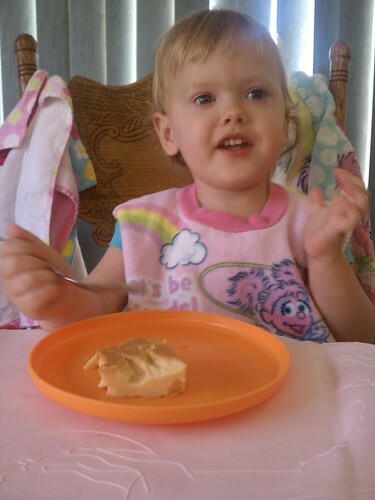 I made Flan a few weeks ago and gave Lily some. She wasn’t too sure of it at first (she wasn’t the only one), but she realized it was really yummy. I try to do some kind of art or sensory play pretty often (not as often as I’d like, but I’m working on that). 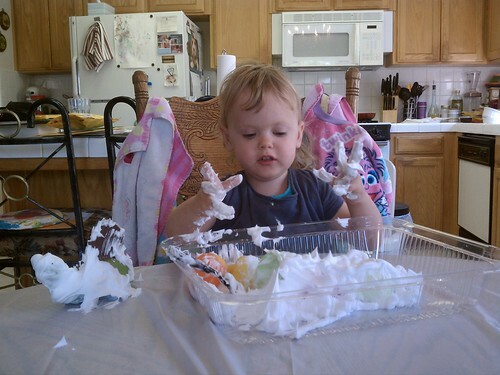 Here’s Lily playing with toys in shaving cream. 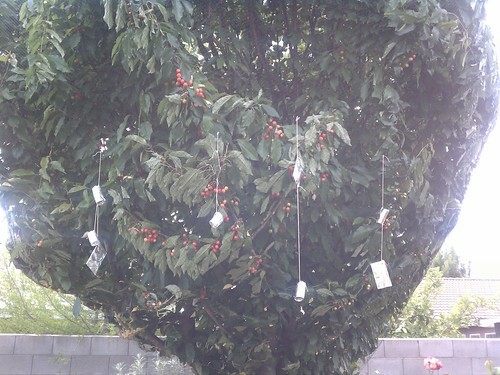 My Father-in-Law has some fruit trees in the back yard and every year he has to fight birds because they eat his cherries. He put nets over the trees and they word pretty well, but birds still eat the cherries that are against the net. I made him some foil covered tubes that I hung from twine to help scare the birds. I don’t think they helped much, but Lily and I had fun making them. 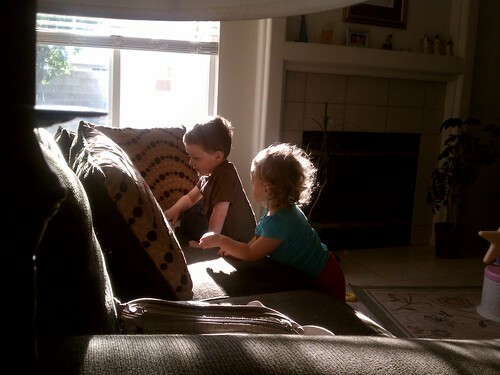 Lily and her cousin Jude, I think they were watching Thomas the Train on a netbook. This entry was posted in Friends and family, Life, Lily, Mobile randomness and tagged Friends and family, Lil, Mobile randomness. « You got presents for me.